At Bragar Landscaping we know that some landscaping companies will try to push you to go for an intricate water-guzzling landscape that requires a lot of maintenance, but that’s not us. 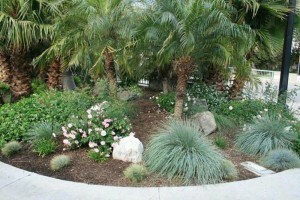 Bragar Landscaping specializes in custom, drought resistant landscapes that are as sustainable as they are beautiful. Our goal is to conserve water and make it easy for you to take care of your landscape, whether that’s with or without our help. If you’re considering a more environmentally friendly landscape, then you should consider Bragar Landscaping for the best drought tolerant landscaping.